I have created a new series of works as part of a commission for The Social: encountering photography, a month long international celebration of photography across the North East of England. Newcastle Central Metro Station, Newcastle upon Tyne, NE1. Artist Talk and Walk: 19 September 2013, 11am meet at Sunderland Museum Foyer. All welcome. 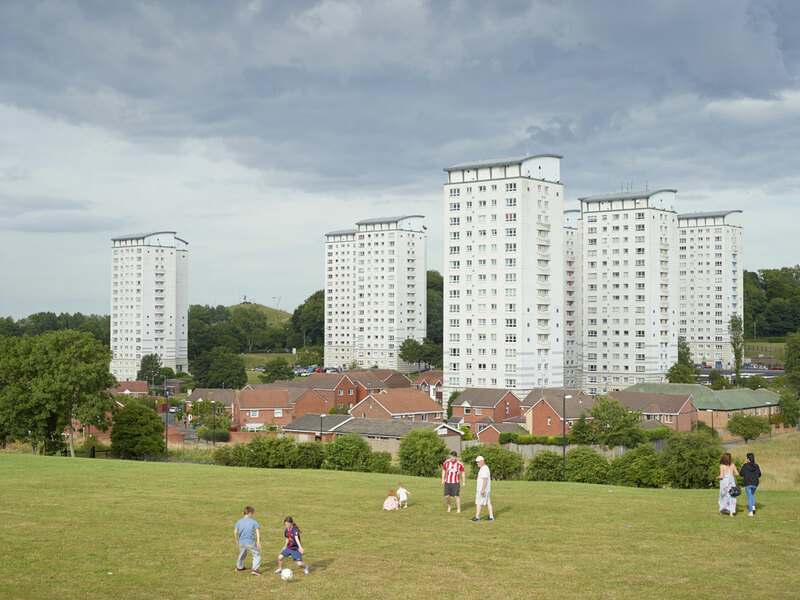 Extending his exploration of the English social landscape, Simon Roberts has worked on a major commission for The Social: encountering photography. A series of large-scale colour photographs, made in various locations throughout Sunderland, are sited in different gallery and public contexts: in the foyer of Northern Gallery for Contemporary Art, on the rear façade of Sunderland Museum & Winter Gardens, in The Bridges shopping centre as well as on the platform at Newcastle Central metro station. The photographs are echoingly familiar, yet also distanced. As in the traditions of large-scale history painting that inform them, we encounter highly socialized and deliberately lyrical environments. Yet these are thoroughly contemporary landscapes, where ordinary people get on with their various activities and pursuits. Some of these are solitary – taking the dog for a walk, or lost in reverie on a park bench. But most of all these are sociable and socialized environments, full of activity. 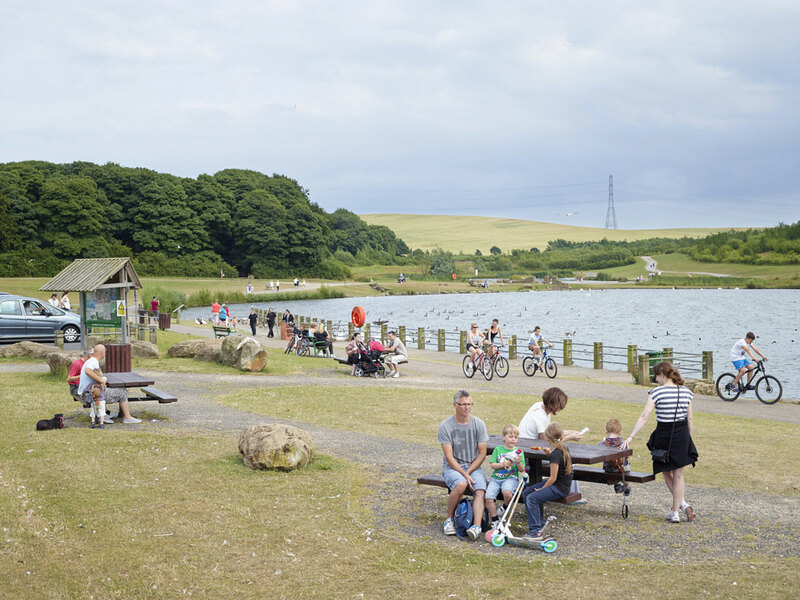 To some viewers the locations will be immediately recognizable, while for many others the ways in which people use and inhabit the spaces – having a picnic, flying a kite, playing football or cycling – provide the more immediate points of connection. As in many of Simon’s projects, themes of memory and identity attach to the otherwise ordinary past-times and vistas. The relationships between people and places create a rich tapestry of social observation, while the high and often distant vantage points give a sense of the contemporary existence of each different landscape, as well as the accretions of historical use, social transformation and reinvention. 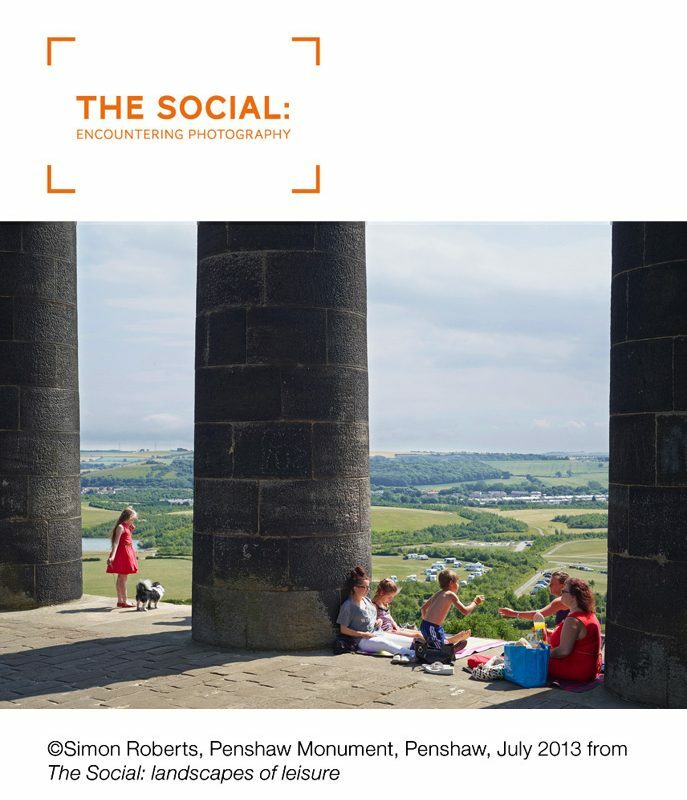 The Social is an initiative of the North East Photography Network (NEPN) in partnership with the Northern Gallery for Contemporary Art, Sunderland. We are delighted to be working with an array of photographers and artists from around the world to create a dynamic exchange of photographic practices and experimentation, embracing varied social contexts and activities. Throughout our four-week programme of exhibitions, talks, tours and debates, The Social seeks to provide new opportunities for audiences to engage with high quality lens-based practice in ways that are accessible and relevant. The Social aims to create an internationally significant platform for regionally based photographers to showcase their work and will also bring artists and curators of international stature to the region to work alongside. Sunderland is the creative hub of The Social, with important new partnerships at the Northern Centre of Photography, University of Sunderland, Sunderland Museum & Winter Gardens, The Bridges Shopping Centre, Sunderland Minster and the National Glass Centre. In extending the reach of The Social across the region, we are also delighted to be working with Durham Art Gallery, Side Gallery, The NewBridge Project and PH Space in Newcastle, as well as Arts Centre Washington amongst others. The Social is committed to the development of a vibrant creative context for photography in the region, through supporting artists to produce and exhibit new work. Key to this philosophy has been the continued support of Arts Council England and the University of Sunderland. Artists premiering newly commissioned works during The Social include: Irwan Ahmett and Tita Salina; Craig Ames; John Kippin; Sarah Pickering; Simon Roberts and Stuart Whipps.